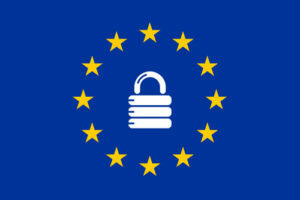 The General Data Protection Regulation (GDPR) has now replaced the Data Protection Act of 1998. GDPR brings consistency across the European Union and offers better protection to individuals. Data theft is on the increase. In the first half of 2017, more data records were stolen than in all of 2016 and only 1% of that was encrypted. The GDPR refers to personal data. This is any data that can recognise a person uniquely: full name, email address, date of birth, IP addresses… It affects every organisation large and small whether you are a one man band or a major corporation. There are some hefty fines associated with this – 20 million Euro or 4% of gross global turnover, whichever is the greater. The Information Commissioner’s Office will be more lenient towards any company that has shown best efforts to adhere to the regulation. GDPR Support – We have a Client Pack which helps with analysing your systems and documenting all the necessary information to bring you up to the required level. In most cases this is quite straightforward and inexpensive. GDPR Training – We can organise a GDPR awareness training workshop for your team. GDPR Consultancy – We can provide advice on the specific data requirements for your organisation. For more information about our GDPR support or training options, please contact Colin Hammond by email or 01473 350444.